The Double Vision Necklace is a chunky but wonderful necklace to make and wear. It has a great deal of visual interest. 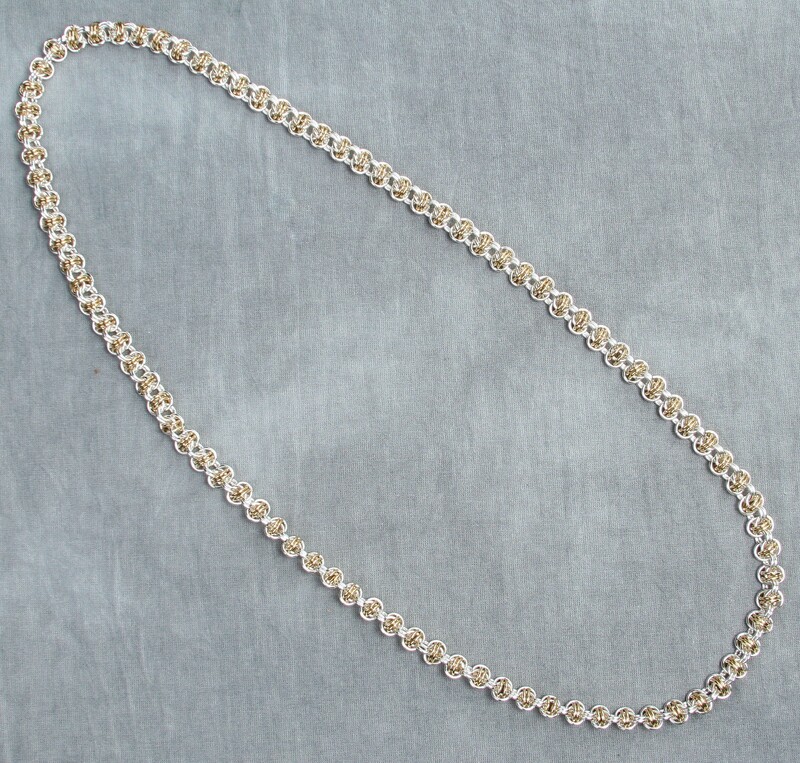 The necklace can be made in an 18 inch or a 36 inch length. The 18 inch kit includes a sterling silver balloon clasp. The 36 inch necklace does not need a clasp, so one is not included. This is an intermediate weave.